These are about 2" tall and come 4 to a set. 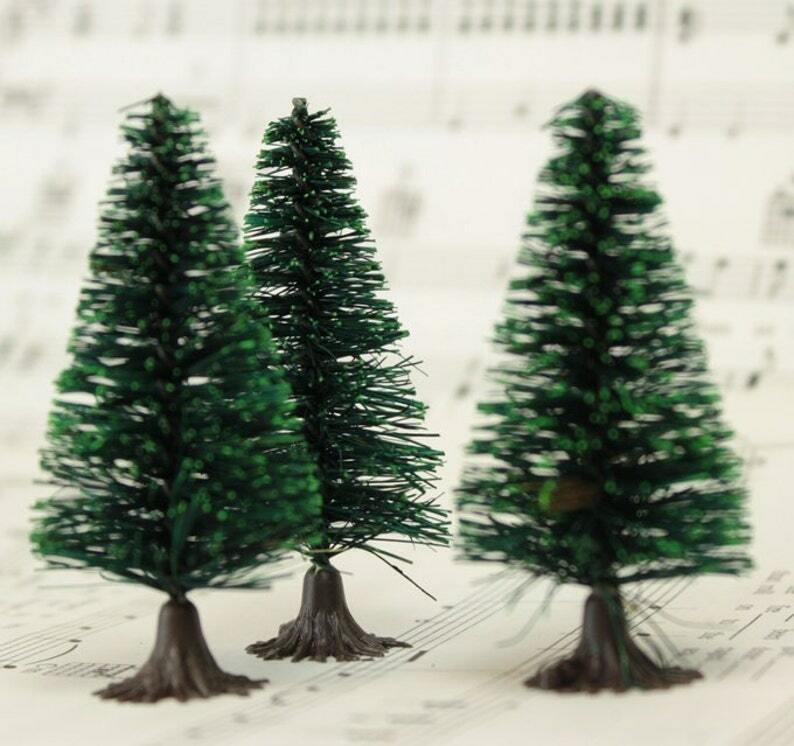 Imported directly from Germany, these trees are hand made by a small family run business. Great products and great transaction!